There is no doubt that CPR is a very important procedure when it comes to saving the life of a person having cardiac arrest. It’s believed that such people are either dead or on the verge of death. Every minute counts and that why the AHA wasted no time in moving swiftly to refute claims from an editorial called ‘”Why Do CPR?” A lot of survivors would gladly attest to the fact that a CPR procedure saved their life despite the fact that they had no chances of living in the first place. There have been thousands if not millions of peer-reviewed research statements that have acknowledged the significance of CPR. This has been a continuous occurrence ever since the inception of the Cardiopulmonary resuscitation back in the 1960’s. It’s a well known fact that CPR is even more effective when coupled with other well known treatments used with cardiac arrest victims. The American Heart Association has for some decades studied the concept and ideology behind the science of resuscitating a human. According to their finding, the association inferred a few suggestions to professionals in the healthcare industry. They have also put in place a solid foundation that can be used to help acquire significant knowledge on how to carry out the procedure. The procedure is best known as the ‘Chain of Survival’ and consists of a set of well coordinated actions that can be utilized by people performing CPR. It should be noted that the process would also include other aspects such as calling for help (911) and having the ability to identify a victim suffering from cardiac arrest. Other things that should also be taught include rapid defibrillation, integrated post-cardiac arrest management, early CPR and highly efficient life support. A significant study done by Dr Nichol Graham indicated that the rate of survival varied. It was also mostly dependant on how the victim responded to the procedure with a considerable number suffering from mental impairment once they gained consciousness. The findings fortunately show that there is more room for improvement to prevent such cases from happening. The editorial ‘Why Do CPR?’ put some doubt on the procedure by questioning the repercussions such as brain damage. This to them was evident in victims who recovered from cardiac arrests after having CPR done on the by onlookers. it was then made clear to them that the repercussions were as reliant on quality resuscitation in the field as they were on after arrest care, this including therapeutic hypothermia. In general, it seemed shallow considering the fact that the editorial based most of its arguments on only resuscitation in the field failing to consider the Chain of Survival concept. The AHA also refuted the perception that some ‘culture of resurrection’ had prohibited the public and community as a whole from experiencing the benefits of CPR. 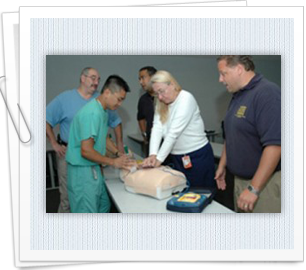 It’s assumed that approximately 41% of victims get CPR from onlookers. There is the hope that the number of people performing CPR can increase with time so as to equally increase the number of victims surviving. The AHA has come up with creative techniques to facilitate the process of having onlookers perform the procedure on victims. The latest and most innovative way comes in the form of a technique known as ‘Hands-Only CPRTM’. It’s the association’s wish that readers think about the concrete facts backing up the use of CPR prior to concluding that they are better off dead than being resuscitated.